I’ve always been open about my love for the Star Wars films. 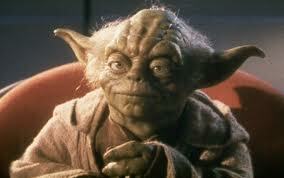 I have two lists of favorite movies: Star Wars and Not Star Wars. 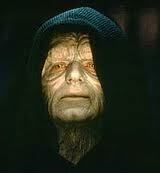 I can remember sitting in the theater waiting to see Return of the Jedi with the kids from our cove. My memory says we went to the Ridgeway Four, but it could have been the theater near the Raleigh Springs Mall. Our first VCR meant that I checked out one of the original trilogy movies almost every time we went to the local rental store. Looking back, I’m pretty sure that guy bootlegged the videos from HBO. 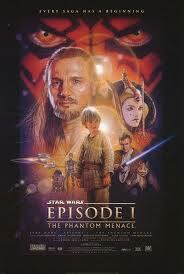 One of my great memories with Donna is going to see Star Wars Episode I: The Phantom Menace in 1999. We went on the second day. The theater was filled with people about our age (around 22) and we all kept breaking into applause. The first cheer came when the screen said “A long time ago, in a galaxy far, far away.” The next burst came immediately after, when the words “Star Wars” filled the screen and the John Williams theme blasted through the speakers. The first appearance of R2-D2 triggered the third eruption. We all cheered in the end. I love both the original trilogy and the new prequels. In the past few months, by accident more than anything, I’ve read and watched as others, who claim to love Star Wars, offered critical and often hate-filled responses to the newer films. As Vader would say, I’ve found their lack of faith disturbing. Not their faith in Star Wars. After watching and reading, I’ve decided the biggest problem is that the complainers lack faith in Christ. I say this because their reaction to the prequels, especially Episode I, particularly to Jar Jar Binks, comes from the very core of their identity. Like me, these Star Wars haters connect much of their childhood with the movies, toys, and emotions of the original trilogy. They did not have the same reaction to Episode I. So, they pitched a fit. These critics, now adults, experienced major life events between the two trilogies. In my case, I turned six in 1983, the year of Return of the Jedi. During the sixteen years between new Star Wars films, I finished elementary school, high school, and graduated from the University of Memphis. Those events are only what can be seen on diplomas. Other events and people shaped my identity. At nine years old, I surrendered my life to Christ. I was not the same person and I did not react the same way to the new films. The haters, however, expected to relive, or confirm, the fundamental place they allowed Star Wars to take in their lives. One person, in a documentary, said that his entire view of morality was based on Star Wars. He set himself up to be disappointed and disillusioned. This type of reaction happens when someone fails to find their identity in Christ. Everyone develops a worldview and lives accordingly. When that worldview is based on a movie, its followers find themselves at the whim of the filmmakers’ skill and manipulation. The script, actors, and the camera guide their lives, not Jesus. To apply Yoda’s warning to Anakin Skywalker in Episode I (the title of this blog), I believe that the haters watched Episode I with the fear that their fundamental worldview would betray them. This fear led to their anger when the movie failed to trigger childhood emotions. Their anger provoked hatred for Episodes I-III. Because of hatred, they now suffer, having turned to the dark side of bitterness and ranting. Without Jesus, who is the way, the truth, and the life, they are both lost and confused. Movies offer distraction and entertainment. Christ offers hope and purpose. 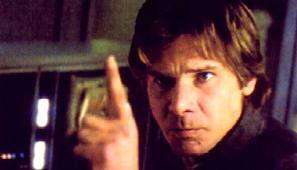 So, where does all this rambling leave a preacher who loves the sound of a lightsaber and the growl of a Wookiee? The odds are that I will continue to watch and enjoy these movies with Donna and the girls. We all love them. They are great entertainment. Sunday marks a special day for me. My sermon text will be Luke 24:36-53. I will end a preaching journey I started on November 28, 2004, my second Sunday as pastor of Fellowship Baptist. That Sunday, I began preaching through the first six chapters of Luke. Over the years, I’ve continued to preach through the book, six chapters at a time. 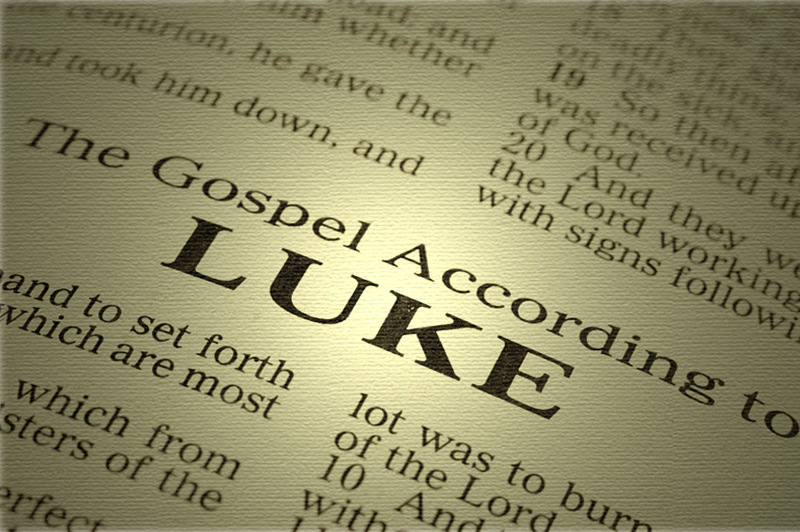 Sunday will be my 111th sermon from Luke. When I preached Luke 1:1-25, I had been a pastor for a total of seven days. I have now been a pastor for 7 ½ years. In November 2004, Donna was pregnant with Sarah and Emma was 15 months old. She still had her pacifier clipped to her shirt. In June 2012, Emma is almost 9, Sarah is 7, Brenna will be 4 on Monday, and Tessa is 14 months. Tessa looks a lot like Emma did on that Sunday. Our marriage is better than ever. I could not do what I do without Donna. Wonder Woman drinks from a Donna Enoch coffee cup. The church has grown, people have been saved, and believers have drawn closer to their Lord. I give God praise for His call on my life and for the privilege to preach His Word to His people each week. I pray that each of you will find and obey God’s call in your lives.